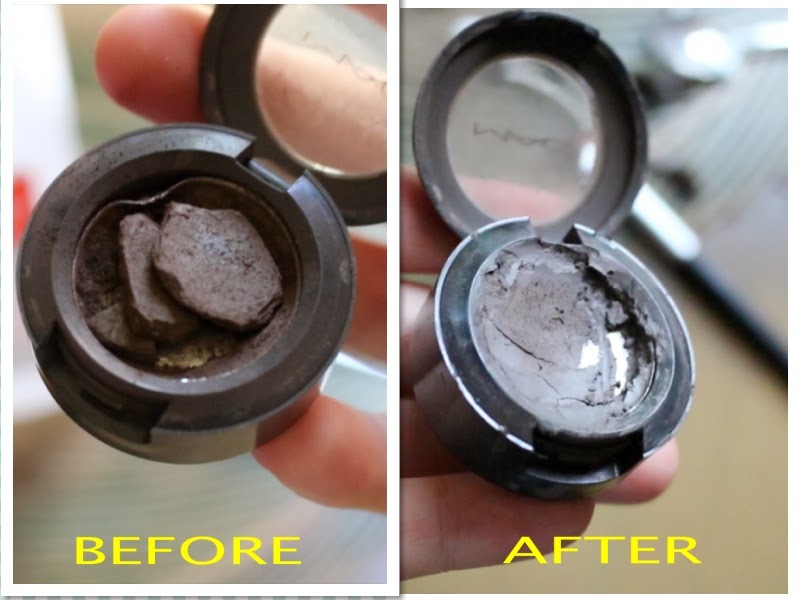 As you guys know I went to Salt Lake City to visit my mom in the beginning of December, while I was there one of my eyeshadows came open and got crushed in my suitcase. 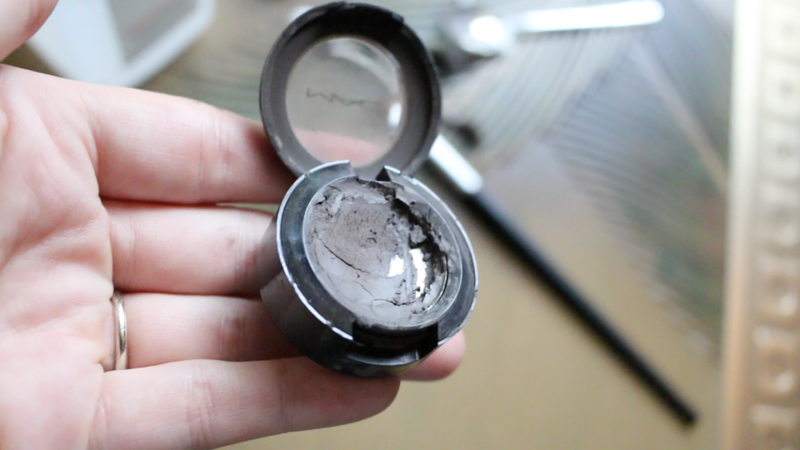 I was really disappointed because this was a brand new shadow from MAC and we all know they are a bit pricey. After I got home I was able to fix it and thought I would share it with you guys. This is the before and after, it’s not very “pretty” after but I was missing some of the eyeshadow, and lets face it as long as I can use it thats all that really matters. You will need rubbing alcohol, a small spoon (mine is an espresso spoon), Q-tips (cotton buds), and your broken shadow. 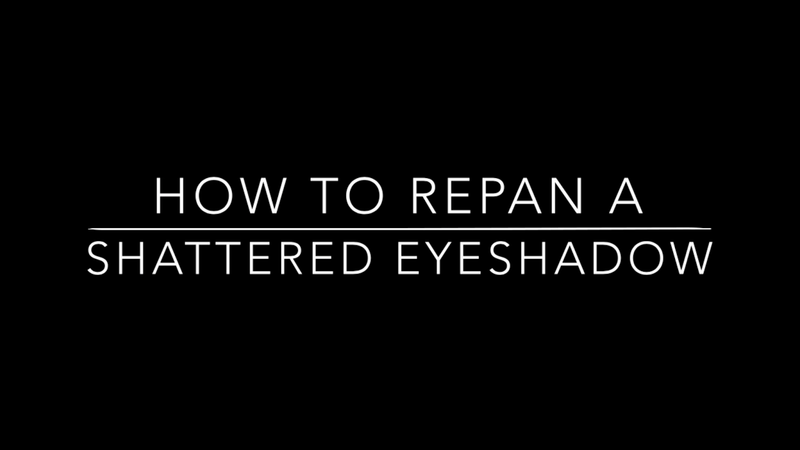 You want to start off by pouring a little bit of the rubbing alcohol directly into your eyeshadow. Then taking a Q-tip, start breaking up those pieces of shadow. 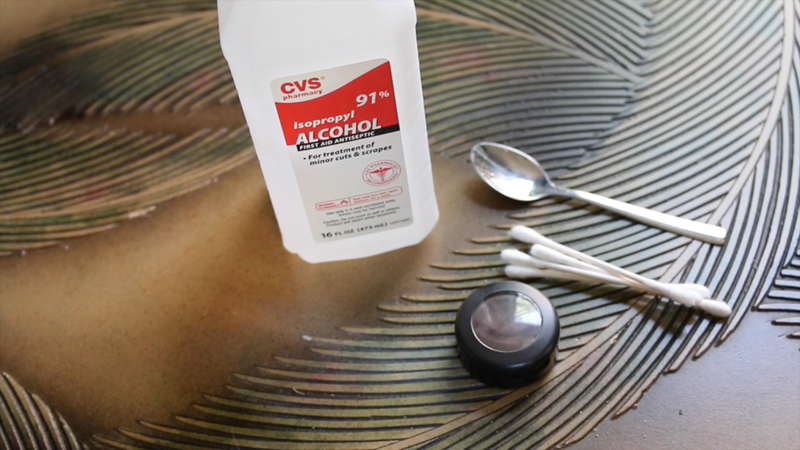 Then add more rubbing alcohol, you will need quite a bit, as you want a really wet constancy. 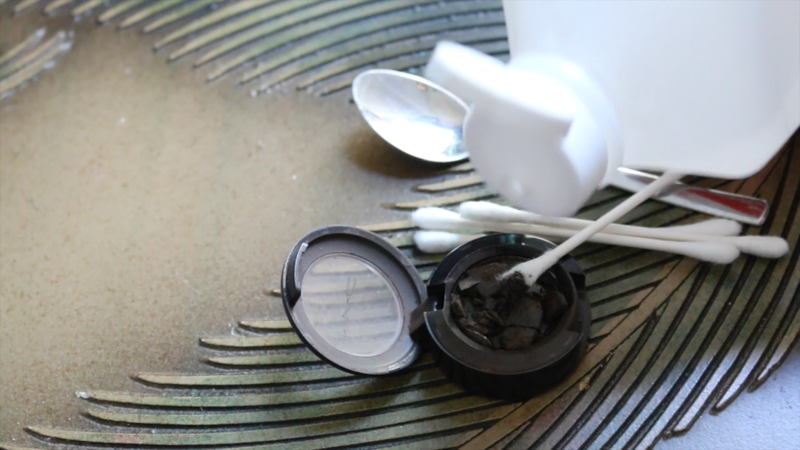 Then start mixing your shadow and rubbing alcohol together using a Q-tip. 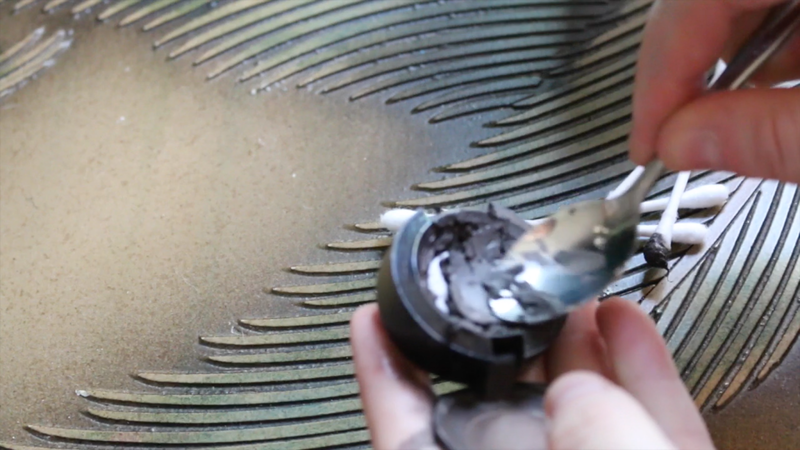 Make sure to scrap the edge of the pan with the Q-tip to get all of the powder wet. 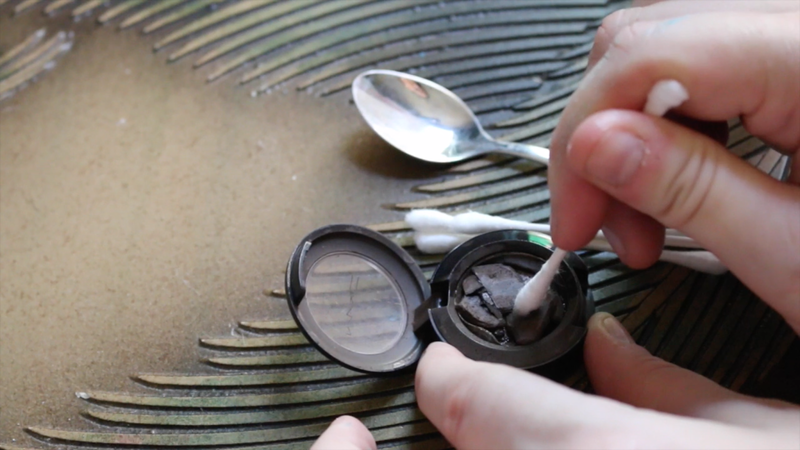 The using the back of your spoon, smooth the eyeshadow flat. It’s almost like frosting a cupcake, you just kind of swirl it around until it fills in the pan. Sadly I didn’t have enough shadow to fill the pan but it still able to be used just like any other eyeshadow. 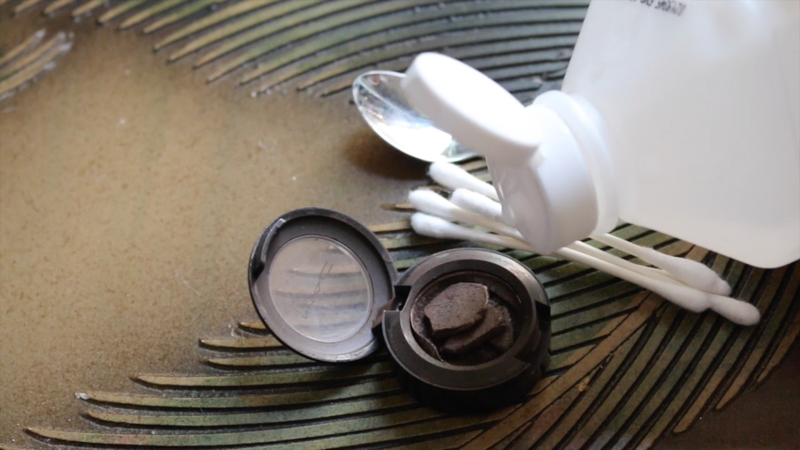 You will want to clean the edges and the outside before putting it in your makeup as it will indubitably have shadow on it. See the video below for the full video tutorial.